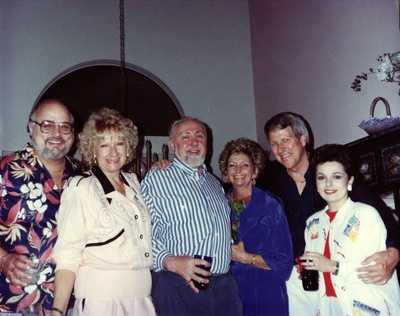 I took this picture at my mom’s 50th birthday party in 1991. Who knew then that 19 years later, two of the smiling people would be dead, my dad remarried, and the house sold. The day I snapped this photo was a happy one. 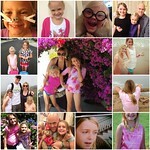 My mom had overcome breast cancer, my parents were learning to not take each other for granted, and there was karaoke. So much has happened between then and now. This April 20 my mom would have been 69 years old. I like to fill in the gaps between 1991 and now as if she were alive all along. There for our weddings, for the births of our children, for another karaoke party. I imagine her reveling in family reunions, lighting her holiday candles for Christmas, writing that book about growing up in North Dakota as the wanderlust child of stoic German immigrants. She would have finished it, too. Do you have a picture you look at that makes you think of what could have been? I do–it’s of me and my family with my parents laughing. Now we haven’t spoken in two years. I really like this prompt. It’s a creative and neat idea. I’m going to have to go through my photos. I’m just catching up on my feed reader so I just saw this. I’ve been doing exactly this. I’m hoping to do a post soon.